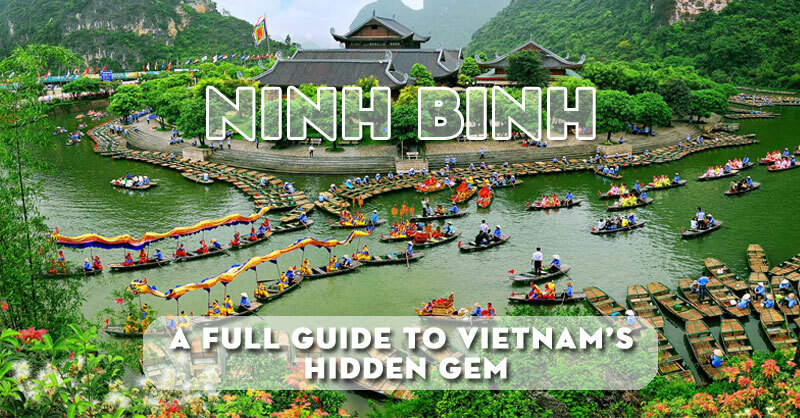 You are wondering that is Tam Coc Ninh Binh worth it to visit on your first trip in Viet Nam? The answer is definitely yes! 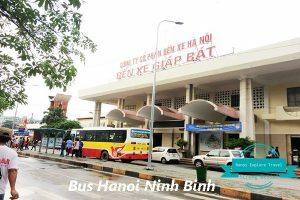 Should not any travelers overlook it. 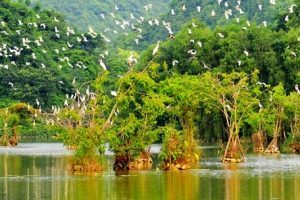 Located in the northern of Viet Nam, about 100 km south of Hanoi this is really a majestic place created by hundreds of massive limestone cliffs emerging from the ground scattered across the rice fields, this region is appropriately nicknamed the “Halong Bay in land”. Apart from a beautiful landscape in Ninh Binh, you will be impressed on a peaceful and laid-back life style life away from businesses in the cities. 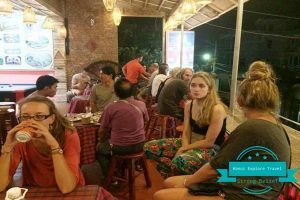 Through your own experience of exploring it, you have chance to know more about an Vietnamese authentic life. 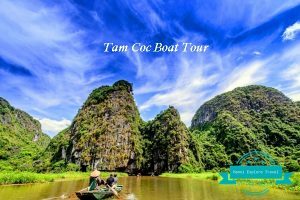 How to do your own trip without a tour in Tam Coc region? 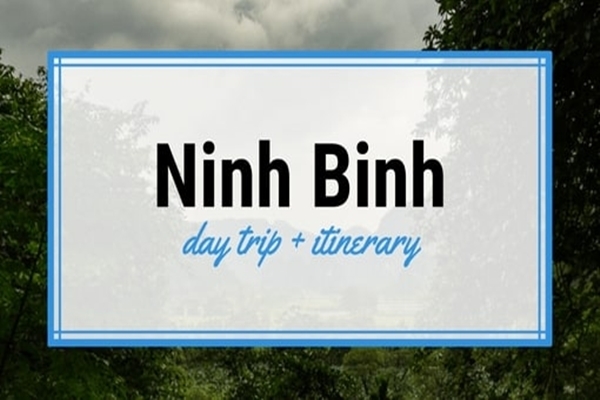 I have shared Travel Guideline in Tam Coc Ninh Binh before. 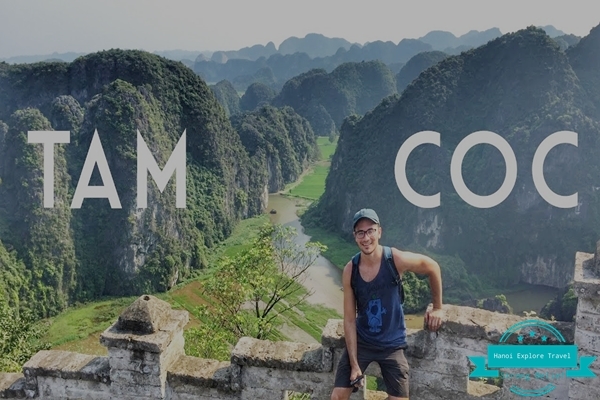 You should read that article to know exactly How to get to Tam Coc. 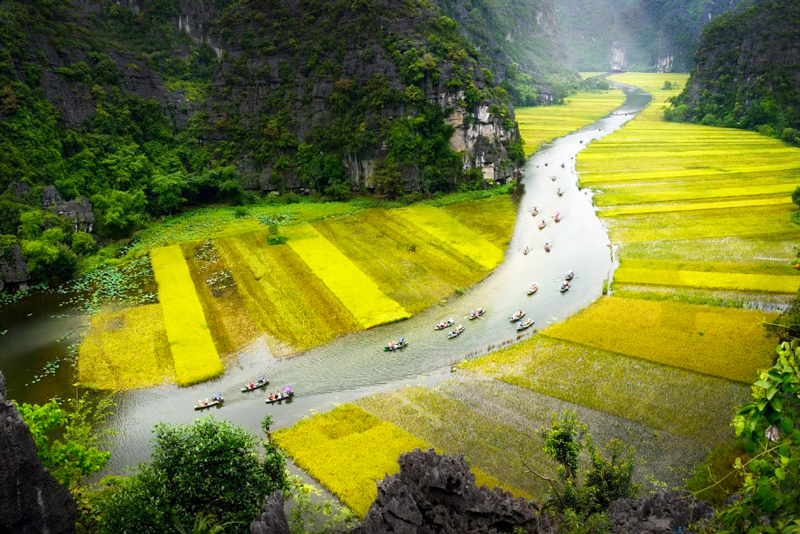 It is fascinating to go into tiny paths in the rice paddies or the dirt roads leading to villages and local houses. When you pass in front of houses, some children are excited to wave and say Hello to you. Don’t miss your chance to see how people live and work on the fields. 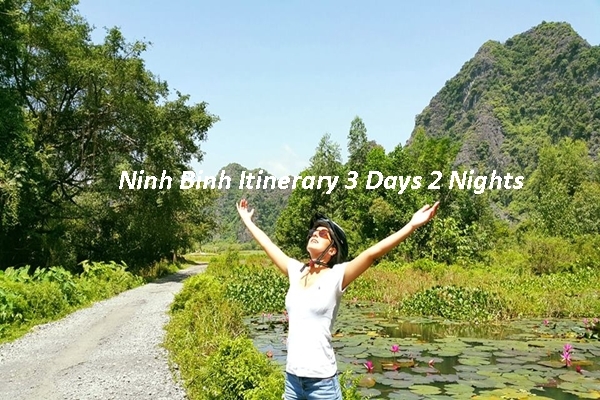 For bike rental in Tam Coc Ninh Binh: Normally you have to pay 100.000 VND (~ US 4) per day in Tam Coc. 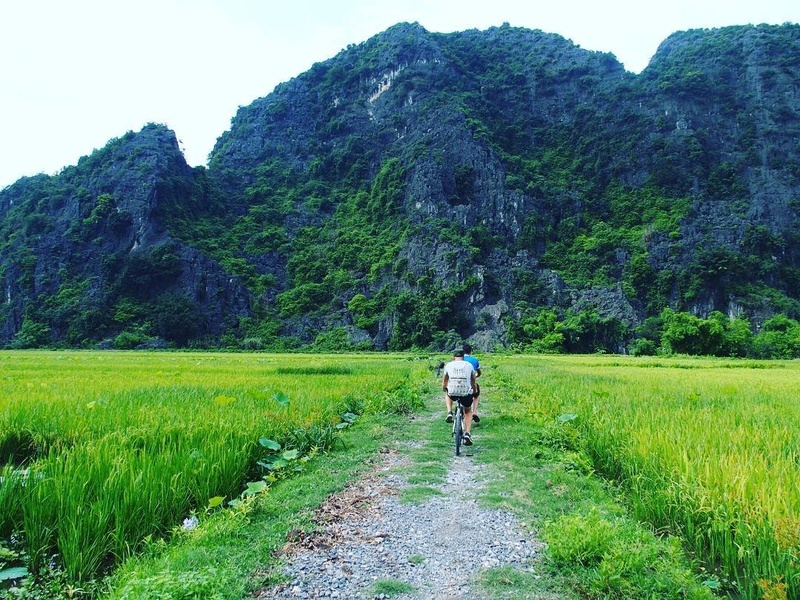 A bike will cost you a half of it from US $2, this way is more adventurous and cheaper. The boat rowers may make you feel strange when you are asked for giving tips. Anyway you should prepare a little money if you don’t mind. 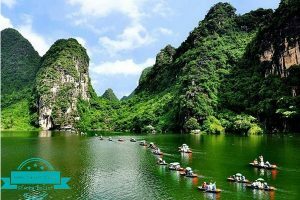 On the way of returning you even meet some people in shore will try to make you buy “food” for the rower. 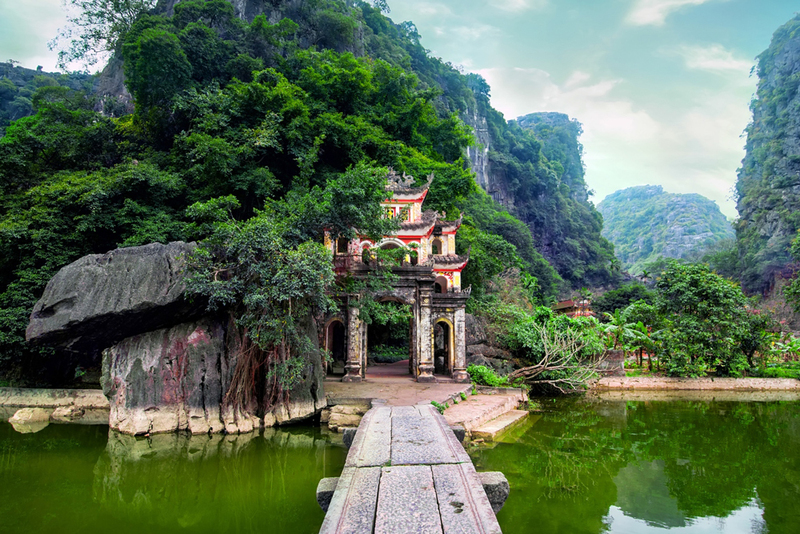 Explore the highest temple you need to pass through a series of caves. 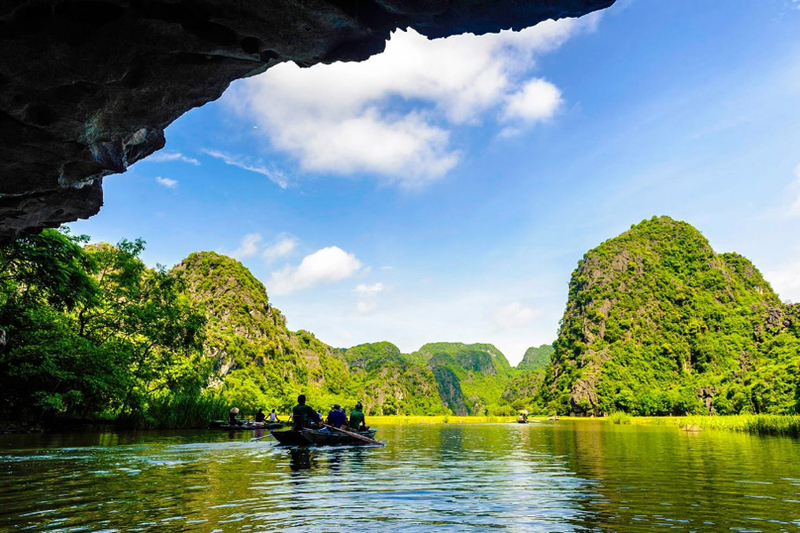 Inside you can find several Buddhist images carved in stone and hollow stalactites on which you can play some tunes. 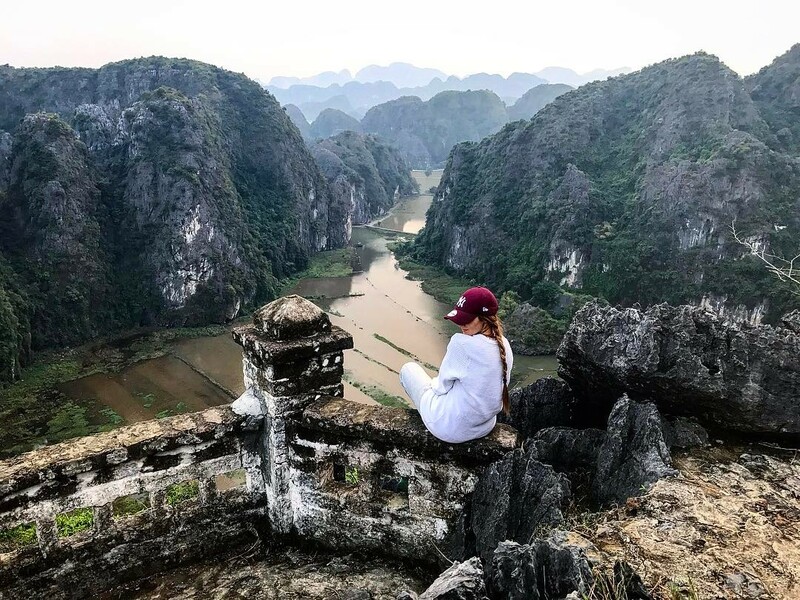 Secondly, in reality if you put your effort to climb up to the Mua mountainthrough 500 steps then a panoramic 360° view of Tam Coc valley never make you disappointed! 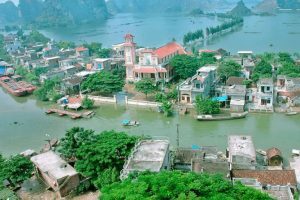 This is the only place for take a wonderful view of Tam Coc village. 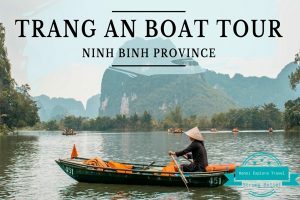 Exploring Tam Coc village in 1 day is one of your options, but you will discover further Ninh Binh, Tam Coc if you have 2 days for the best itinerary. 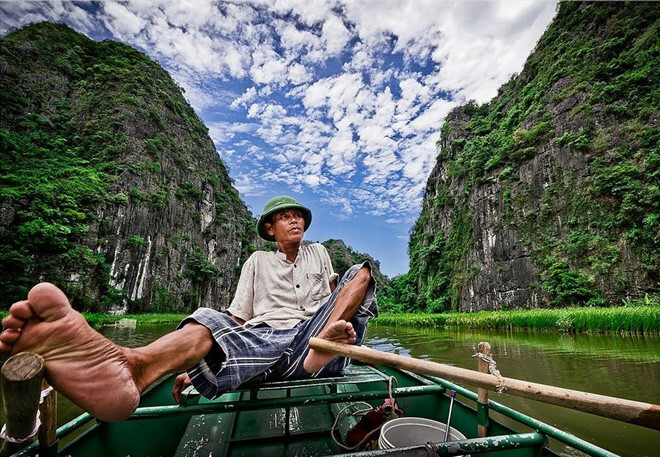 Being in Tam Coc village on a bike enriches your experience with real Vietnamese life. 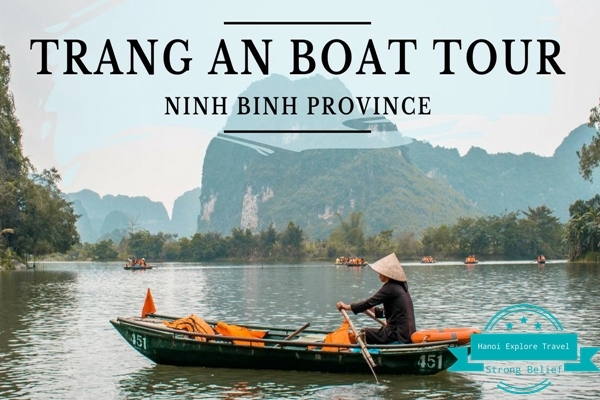 Besides, if you need any further information about Ninh Binh or you would like to be offered a tour with favourable price but higher quality than other tourism agencies, don’t hesitate to contact Hanoi Explore Travel, we are very willing to answer your questions. You can send us an email or Leave Your Comment Here! Have all theinformation been useful for you? Let’s experience the best moments in Tam Coc right now!